PUSH women Network ambassador Barbra Phiri says GBV cases have been on the increase in Zambia because of patriarch perpetrated by cultural norms, which enhance Gender-based violence (GBV) and power inequalities between women and men. And an activist Kachingwe Singoyi says patriachy has mainly been perpetrated by African cultural norms which are entrecnched into the Zambian society, addding that erradication of GBV should start with the women folk themselves. 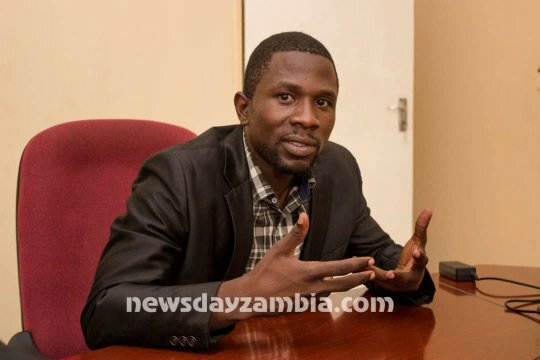 Speaking in an exclusive interview with newsdayzambia.com Phiri says Zambians need to get to the core of the problem of GBV, which is about power and patriarch with women and girls being the primary victims of the vice. She says because of cultural influences, some shared norms about women’s subordinate roles in society and violence against them continue to perpetuate the power imbalance and that male involvement and support for gender equality is critical in addressing GBV. “I must say, because the solutions to ending GBV can be both short and long term. The long term can be hard to achieve because we are talking about changing attitudes, cultural and behaviours, laws and policies which take a long time to achieve especially if the patriarchal systems and structures still remain intact at all levels of society, be it in a home or institutional setting,” she said. Her views are echoed by Singoyi, who believes that some traditional and cultural teachings appreacite the fact that beating of a spouce signifies love for the victim because a woman is a special creation with a heart to love even in an abusive relationship. “You find that a woman would be beaten by the husband or a boyfriend and the community takes the issue to police and the husband is arrested, the wife or the girlfriend will be the first person to withdraw the matter from court or police and the root cause of all these challenges is the traditional and cultural institutions which teach women and girls to behave in the principal that man is super human. Ironically, women are at the helm of promoting partriachy under the tutorage of female traditional teachers and marriage counsellors,”he points out. Singoyi adds that the departure point in the promotion of partriachy is when young women come of age because they are taught from an african perspective only how to treat a man thereby, perpetuating this human degrading vice which has put the life of women, whether married of not, in danger. “A woman is taught to keep everything which happens in her home to herself even in an event that they are heavily abused physically, emotionally, financialy and sexully”. Meanwhile, Barbra further outlines that as PUSH Women Network Ambassador, she would continue to speak out against such vices that are destroying the fabric of society, and endeavour to work with different partners to ensure that GBV was not the order of the day in Zambia. “At PUSH Women Network, we have started a programme to mentor young girls in schools to build their self-esteem/confidence, encouraging them to speak out against any form of abuse and aspire to be somebody in society against all odds,” she says. She appealed to all Zambians to avoid GBV “Under Our Watch and In Our Names. Otherwise, we will all be guilty of contributing to the devastating impact of GBV, which has included preventable deaths in most instances”. And adding her voice on a GBV story recently published by newsdayzambia.com Barbra said Thelma Mubanga, who was defiled by her father at a young age and later abused by her husband, is one that should inspire many victims especially that she has come out in the open to advocate against GBV. “Thelma’s story is one out of a million that go unreported and makes very sad reading. It is clear in the story that Thelma like many young girls, was powerless and vulnerable when it came to dealing with abuse. The father had exerted his power over her being the older person. Unless, abuse and GBV is dealt with early enough, it has cyclical and long term effects which are then passed on from generation to generation as can be seen in the case of Thelma. I am happy that she was able to later on speak out for justice – which all who may encounter or experience such should do,” she appealed. Meanwhile, Thelma who has endured GBV for most part of her life has decided to take up gender advocacy as a way of adding her voice of intervention to the vice following her life’s ordeal. “What motivated me to do this is because I have girl children and feel obligated to make a difference to avoid them from going through what I went through. Not a single day passes by without me thinking that my kids will go through an experience remotely similar to what I went through” she says. Thelma is now a member of the ‘Zambian Feminist’ movement that aims at making a difference by advocating for gender equality and eradication of patriarchy. She participated in a march past on 19th January 2019 in Lusaka, where her movement called on Zambian girls to say ‘Enough!’. And Singoyi stresses that it is sometimes challenging to reconcile the bible teachings and the issues of culture and tradition because the institutions have different bearings on society. However, he said the most challenging perception was that a woman was treated as a property of man in the early days of human society. “The issues of equality have been a thorny subject to deal with and the best way would be to look at it from an equity perspective in the creation of a new man and a new woman”. Singoyi says “men who abuse their spouces have capitalist tendancies in the management of their affairs because it is only in a capitalist society that the class struggle is a daily battle. The most critical point to note is that a woman is also a human being and that is what should matter because all human beings are equal and we must emphasise on equity regardless of their stations in life” adding that “in adddressing gender based violence, there is need to address patriachy from a female fork perspective because patriachy is the root of GBV and encourages superioty of a man over a woman. It is the percieved superiority in a man which erupts violence,” he points out. “We must work to liberate a woman for the good of society but the path to achieve the maximum liberation of a woman is a revolution,” he says adding that “Gender based violence still remains a fundamental subject to society and every effort to combat the scourge is of paramount importance, taking into cosnideration the fact that society is made of social classes which need to co-exist side by side. It is possible for humanity to exist as one”. According to the annual survey by the Victim Support Unit of the Zambia Police Service report, in 2016 the country recorded 18,540 cases of gender-based violence, more than the 18,088 cases recorded in the previous year. Similarly, the 2017 Gender Based Violence third-quarter report indicates that the total number of GBV cases in just one quarter countrywide was 16,090, compared to 13,092 cases in 2016 during the same period—a 18.6% increase. Gender Based Violence in Zambia takes the form of Physical, mental, social or economic abuse against women and girls and includes violence that may result in physical, sexual or psychological harm to the victim. It may also include threats or coercion, or the arbitrary deprivation of liberty, weather in public or private life.